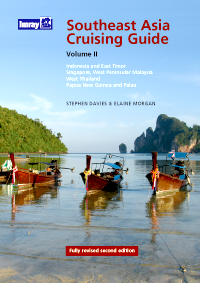 This is the first of the two-volume set of the Southeast Asia Cruising Guide to reach a second edition. 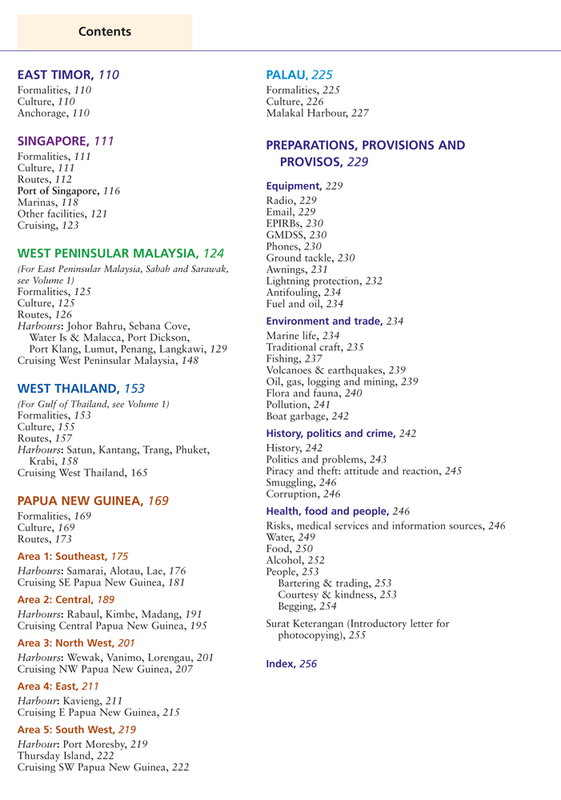 It is the only guide that covers the entire length and breadth of a region frequently visited by round-the-world sailors, many of whom leave Australia to head west. This edition concentrates on the most frequented routes and includes the most popular stops. There are hundreds of possible anchorages, the most popular of which are usefully summarised in tables. 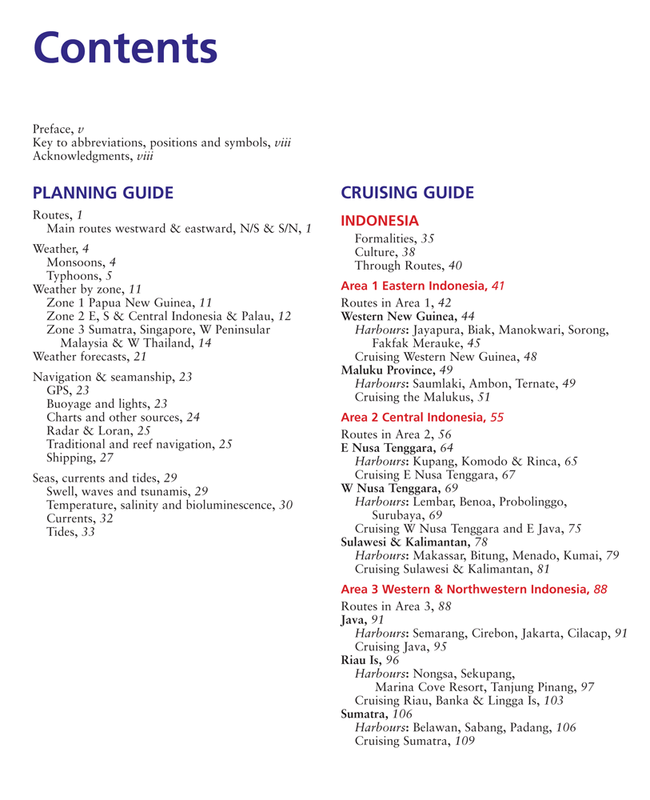 Introductory sections cover planning and the last part of the book deals with more general topics including advice on provisioning and the problems that are often faced by cruisers. Stephen Morgan and Elaine Davies first arrived in the region over 30 years ago. They work in Hong Kong- Stephen Davies as Director of the Hong Kong Maritime Museum and Elaine Morgan as a writer and editor. While this pilot is aimed at yachtsmen and indeed was surveyed from the Davies/Morgan yacht, it is just as relevant to the commercial or military mariner. 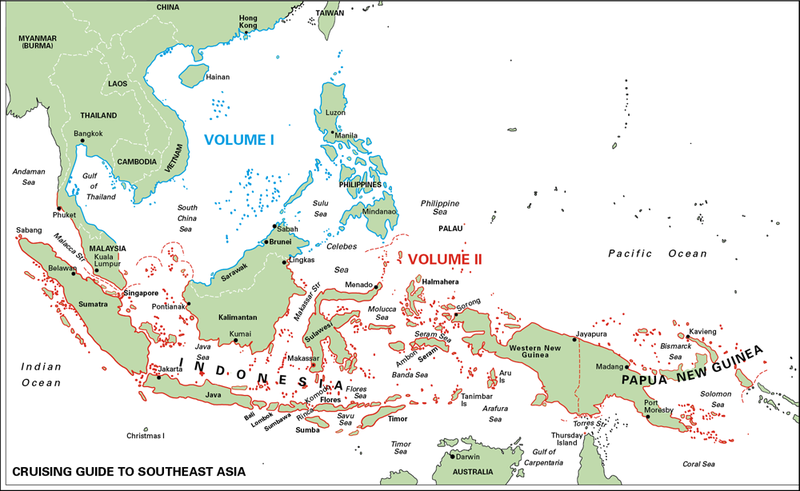 The part of the world described in this work is one of the most interesting on our planet. Culturally, scenically, climatically and commercially- it has everything. This excellent book – now in its second edition, describes it all very enticingly. Set to the usual high standard of the Imray pilots that precede it, this one is spiced up by the wit and anecdotes the authors are so good at.